Virtual reality spans across a wide range of price points, but HTC’s only shown interest in the high-end so far. HTC is ‘open’ to the idea of a smartphone-based virtual reality headset. 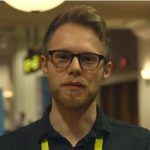 Speaking to TrustedReviews, Ryan Hoopingarner, Director of Product Marketing for the HTC Vive, explained that the company is always looking at new opportunities for expansion. We asked Hoopingarner whether an entry-level, phone-based system – like the Samsung Gear VR – could be coming up. “With the aspiring situation of VR, we align ourselves with Valve in order to create Vive, so if the market demands it, I think we’re open to a lot of different things,” he told us. “We certainly don’t limit ourselves to smartphones, we have integration with smart products, we have integration with UnderArmour,” he added. HTC currently occupies a top-end niche in virtual reality, competing against Facebook’s Oculus Rift and Sony’s PlayStation VR. But HTC rivals Samsung and LG both have mid-tier offerings in the space too: the Samsung Gear VR and the LG 360 VR. Those devices operate using a smartphone-docking system, which helps keep the price below £100. And let’s not forget Google, whose Cardboard VR headset can be acquired for less than £10 on Amazon, marking it as one of the cheapest routes to rotational virtual reality available. The HTC Vive, by contrast, is now up for pre-order in the UK at a price of £689. As such, an entry-level Vive spin-off could be a good move, widening the net of HTC’s VR efforts. After all, the significant barrier to entry for the Vive doesn’t stop at cost; you’ll also need an impressive computing setup to boot. Would you like to see HTC offer a cheaper, low-end Vive alternative? Let us know in the comments.